As the CWI commented at the time, “The fact that the GCC plan is supported by ruling autocracies in Saudi Arabia and Bahrain, which crushed opposition protests in Bahrain last year, and by the US, which was a strong backer of Mubarak and Saleh, reveals the real purpose behind the ‘initiative’ – to defend the interests of the ruling elites in Sana’a, Riyadh and Washington”. 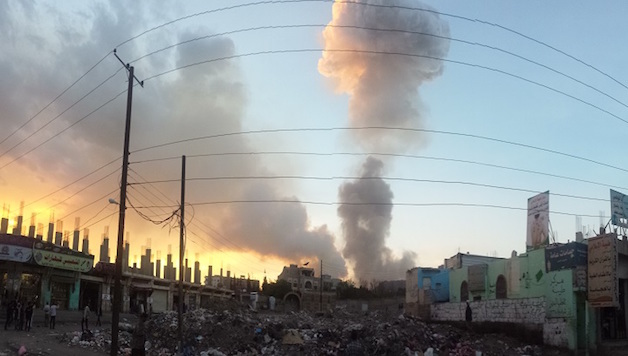 Focusing on basic services provision in impoverished areas where the state has collapsed, at times softening their edges as a way to establish roots among the local population, Al Qaeda and its parallel group Ansar al-Sharia have also put their hands on a vast amount of weaponry, sometimes directly acquired from Saudi-led coalition forces – along which they have fought on several fronts. Socialists cannot ignore these sentiments – nor can they ignore the fact that right-wing politicians, such as the members of the newly established “Southern Transitional Council”, are trying to take advantage of these same sentiments to carve up parts of the country for themselves, or simply to cynically boost their support.